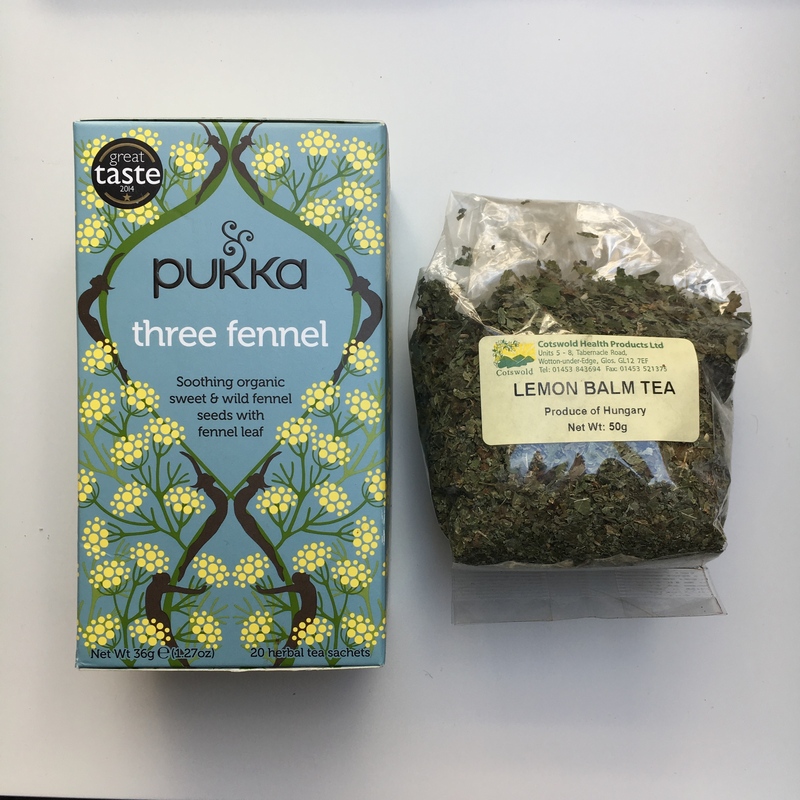 Fun Find Friday - Favourite Teas this month. Well it’s time for another Fun Find Friday folks. I hope you’ve all had a wonderful week. Tea is a big deal in my family. Very British! Although we’re actually Australian. Everybody in my family starts their day with a cup of tea, and it’s offered to celebrate, commiserate, because it’s hot outside, because it’s cold outside – you get the picture. Really, for any reason, we drink tea. The ritual around tea is still very important to me, I drink tea with those I love the most. My sisters, my best friends and now also my daughter(s) (not quite the baby yet as she’s only 6 months old). My 20 months old loves tea! And one of her very favourite things is when we drink tea together, so I know this comfort and ritual is going to carry forwards. 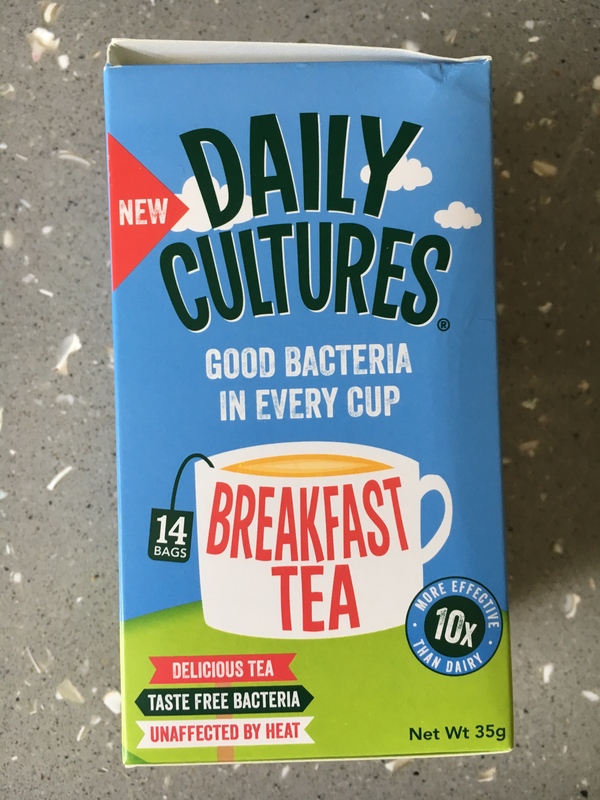 When I was growing up and in my early 20s, I drank English Breakfast tea, very strong, with lots of milk and two sugars. To this day, this sounds like heaven to me, although it’s been years since I’ve had one as I don’t use milk or sugar any more. 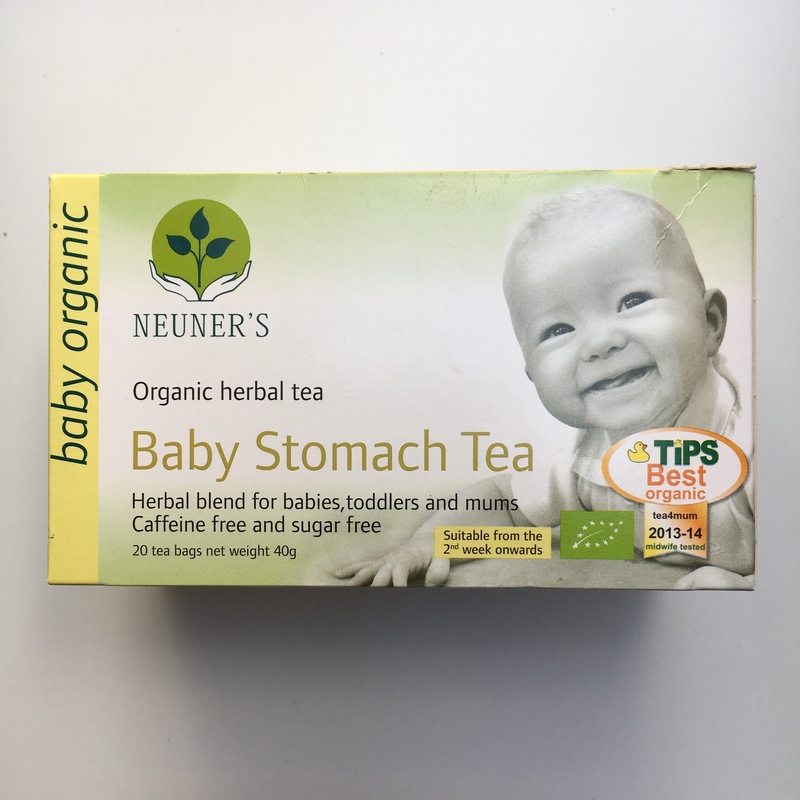 One I weaned myself off ‘regular’ tea (sob), I started to drink many other types of tea, none of which I would ever have enjoyed in my ‘milk and two sugars’ days. Now, I have a cupboard absolutely crammed full of different green and red teas and herbal blends, and I love them all! But I wanted to share with you the ones I have just recently discovered or am using a lot at the moment. I have only recently started drinking Breakfast Tea again recently, since I never liked it black. I was actually given a free sample of this tea and I had it with honey and cashew milk, for old times sake. It was delicious! And in this particular case, it contains probiotics, which I totally call a win-win. I have it in the morning, with a little bit of MCT oil and some collagen, plus about half a teaspoon of raw organic or manuka honey. Absolute comfort food for me, even thought it’s definitely not ‘just like mum makes’. Thankfully, neither of my babies had colic, gas pains or any issues in that vein. I found this tea for a patient of mine, via a recommendation from a colleague and decided to try it myself. Actually I love the taste, and so does Violet. While we’re not using it therapeutically per se, I love that it contains herbs that are great for the digestion. The above two are my current favourite green teas. Qi Organic is a new brand discovery that I found in my local health food store. They also do a blueberry green tea that smells heavenly! But I can’t get past the Jasmine Green. Jasmine Green is my favourite anyway because I adore the jasmine fragrance, but there’s something about this particular one that I like the most. It’s not quite as bitter if I accidentally steep it too long. The Pukka Turmeric Gold I recently found at my local Sainsbury. Seems like a no-brainer right? Green tea plus lemon plus turmeric, a nutritionist’s dream. Did you know that in Okinawa, they have been drinking their tea with turmeric in for many decades? And they also have one of the largest populations of centenarians in the world, who are healthy with good cognitive health. 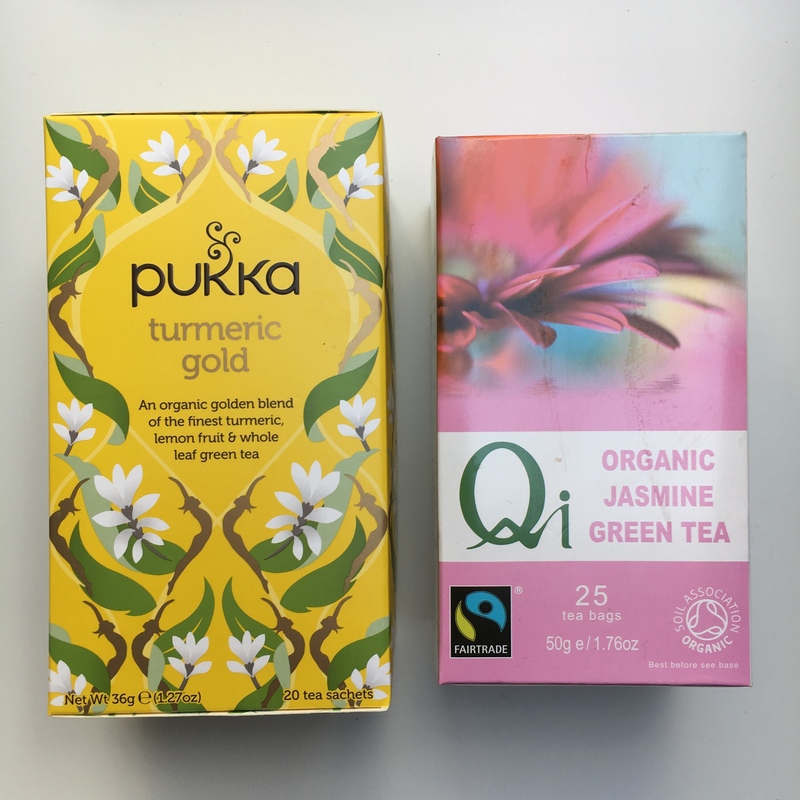 And a big part of that is attributed to the massive antioxidant benefits of their green tea with turmeric. This is another of Violet’s favourites, more than me. Fennel is again, very good for digestion and good gut health. This one is naturally quite sweet, and she drinks it down and asks for more! Did you know that Lemon Balm is anti-viral? I started to give this to Violet for that reason, when she started to play with other children and pick up the colds and bugs that all children are susceptible to. The taste is very refreshing actually and I also have some from time to time, just because I like it. However, when we get colds, we all drink about 3 cups of this per day each, more for the adults. It’s great hot, or iced in the summer too. As well as her water, Violet drinks about two, 250ml bottles of tea per day. I got her a special Tea Bottle, that is glass with a silicone sleeve for the inevitable drops, as she runs around the house with it. While she very happily drinks plain water, I like to give her herbal tea as well, because the teas contain beneficial properties, such as being anti-inflammatory (chamomile and lavender), support the kidneys and liver (dandelion and thistle), support digestion (fennel) and are anti-viral (lemon balm). I like to reinforce her system with nutrients and beneficial plant extracts at every opportunity and tea is a great multi-tasker. It’s delicious, refreshing or warming (depending on the weather and if you drink it hot or cold) and good for you. Food as medicine! 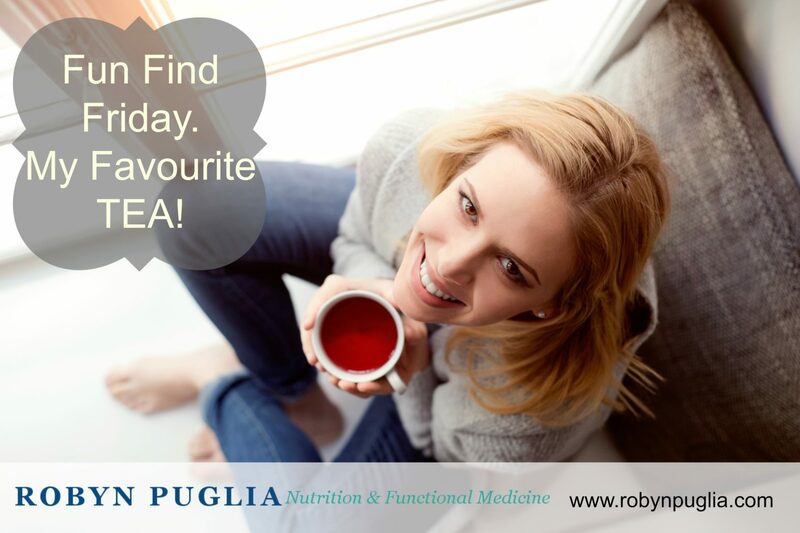 What is your favourite tea? Do you ever make your own from plants in the garden?